Since a large amount of people on the server got a glitch, we are going to make a post for it just incase the server restarts again. I wasn't exactly sure so I just put it in here. 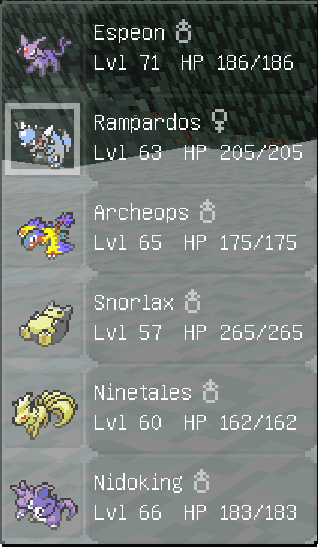 Anyways, here's my team if we are going to spawn them in. Thank you Azarrad I forgot to put something like this up.